It can be difficult to keep your sofas, recliners, and dining room chairs clean. No matter how hard we try, dirt, grime, and stains always have a way of appearing on our upholstery. When you want to remove these scuffs and marks, it is always a good idea to go with a professional upholstery cleaning company. Attempting to do the job on your own with household cleaning products could lead to further, and possibly irreversible, damage. For the best upholstery cleaning services in Dunlap, look no further than Super Steam Carpet Clean. If you have concerns about the environment and environmental sensitivities, then you’re not alone. More and more people in Dunlap are making choices in products and services with the environment in mind. If this sounds like you, then you’ve come to the right place! Super Steam Carpet Clean is proud to offer green carpet cleaning services to all of our Dunlap customers. Getting your floors, kitchen counters, backsplashes and bathrooms sparkling clean is what we are best known for. Even when your grout is discolored, and tiles have seen better days.  Super Steam Carpet Clean professionals are vetted tile and grout cleaning experts with years of training and experience working with local companies of all varieties.